Millions gather to this small town friendly corner of Western North Carolina yearly to view the changing of the leaves and everything fall. 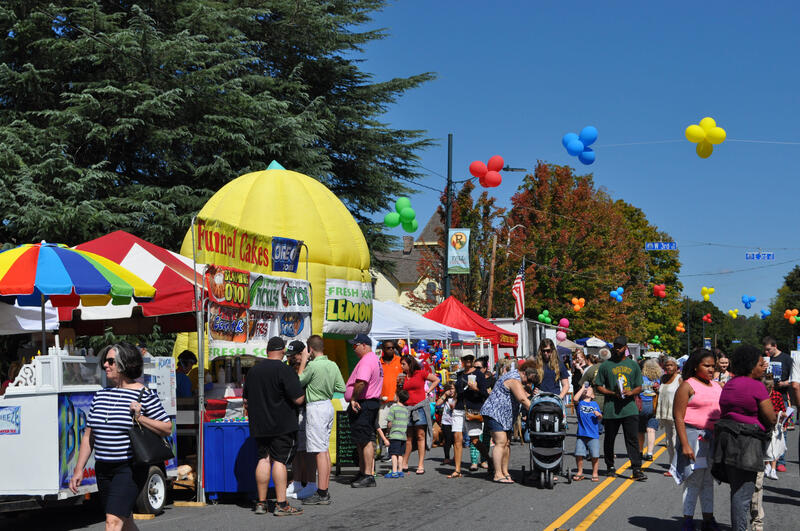 To kickoff the season, the Town of Rutherfordton teams up once again to present the annual Hilltop Fall Festival, one of the longest running festivals in the region. On Friday night, the annual Soapbox Derby “Race for the Gold”, is an event unparalleled to any other in Western Carolina. Grab your pom poms and cheer on your favorite team as they race down Main Street in a custom built soapbox car of their own engineering. This race is taken very seriously, yet is comical and tons of fun. We have seen an incredible amount of creative inventions in the past, inventions you would never imagine, from a bike/car hybrid, a tank, a rocket ship, and even a horse trough. Practice runs begin at 6:00pm with the race kick off at 7:00pm. Best of all, when it gets dark the lights come on and the final teams race to take home the gold! 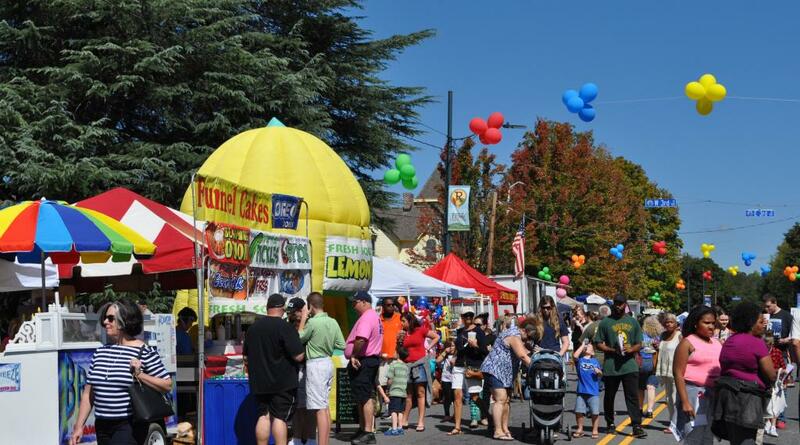 As if Friday night’s Soapbox Derby isn’t enough, we have a fun filled day of activities on Saturday to top off the annual Hilltop Fall Festival. 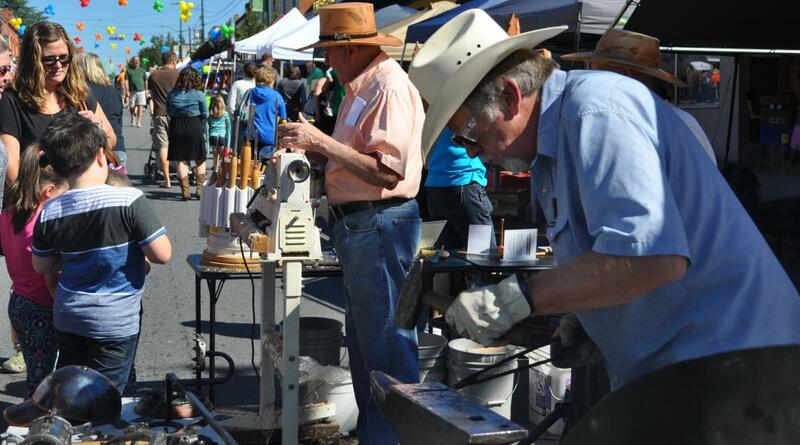 This event is a local tradition and one of our favorite festivals of the year. 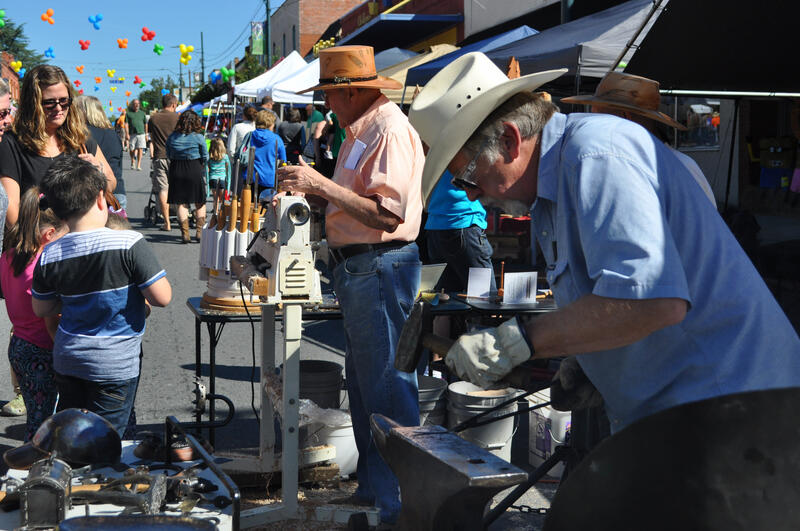 At 8:30am, runners line up to race in the Purple Martin 7K, following in the footsteps of courageous Overmountain Men and their historic march in the Revolutionary War at the start on Main Street. This year the race takes a new path on the Purple Martin Greenway, Rutherfordton’s first Greenway system. Up next at 9:30 is the Tour de Pumpkin Bike Ride in its 12th year, featuring 50K and 100K rides. Cyclists from all over participate in one of the most scenic rides in NC. For more information or to sign up for either event visit www.rutherfordoutdoor.org Throughout the festival you will listen to some of the best bands of the region on our Courthouse Stage with music that will have your toes tapping and hips swaying. The Flying Saucers hit the stage at 11:00am followed by Josey Wails at 2:00pm. In between bands, you can enjoy the Dog Costume Contest that is just the most adorable thing you have ever seen. These dogs go all out to strut their stuff down the Main Street runway! Closing out the entertainment, is Rutherford County Line performing inside Main Street Park from 4-6 PM. Be sure to check out the entries to our annual Scarecrow Contest. 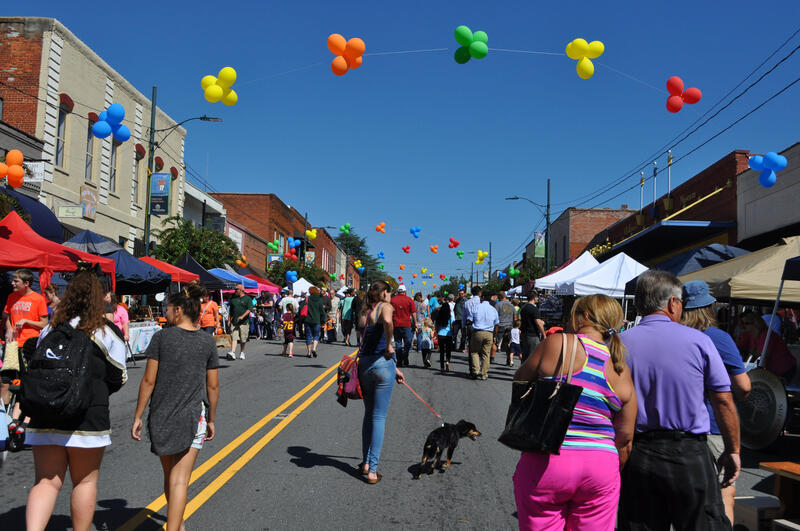 A longstanding Rutherfordton tradition that decorates our downtown and brings charm and whimsy to the season. And last, but definitely not least, we can’t go without food! The best in festival fair, irresistible homemade desserts, and cuisine from all over the world including Mexican, Greek and Thai awaits for your enjoyment. 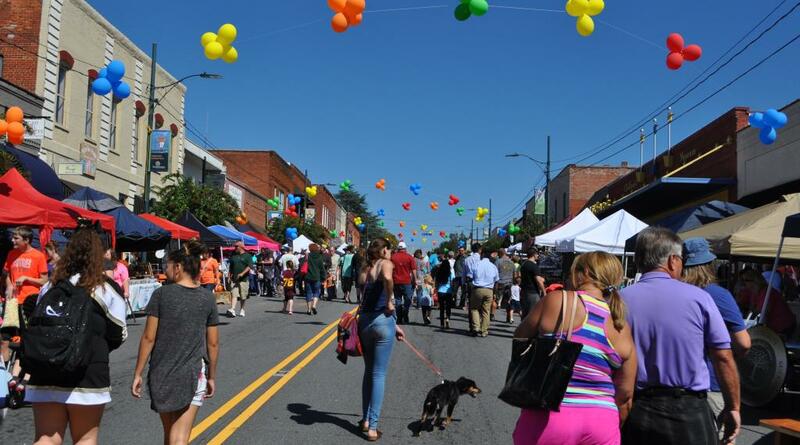 Make plans to join us the first weekend in October in downtown Rutherfordton as we kick off fall with a bang!